Complete care for your body and general well being! 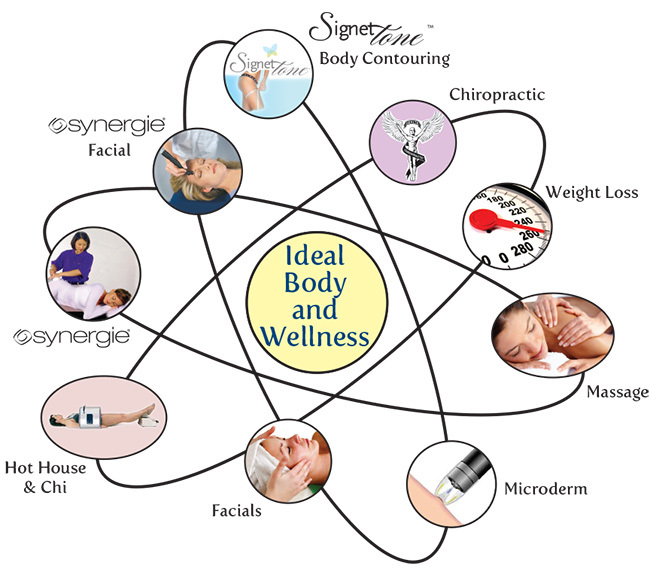 The Ideal Body and Wellness Center, in Salem, NH operates on a philosophy of providing care for your precious body. Our services promote a proper, healthy lifestyle, a doctor-managed weight loss and easy-to-maintain diet, skin care, SignetTone body contouring and skin firming treatments, relaxing massages and safe, highly effective chiropractic care by Dr. Kevin Lynch, D.C. Call to schedule a consultation on your needs and how The Ideal Body and Wellness Center can change your life.